Q. How do I browse the A-Z List of e-Journals? 1How do I pay using GCASH QR? 1How to reserve a discussion room? 2. 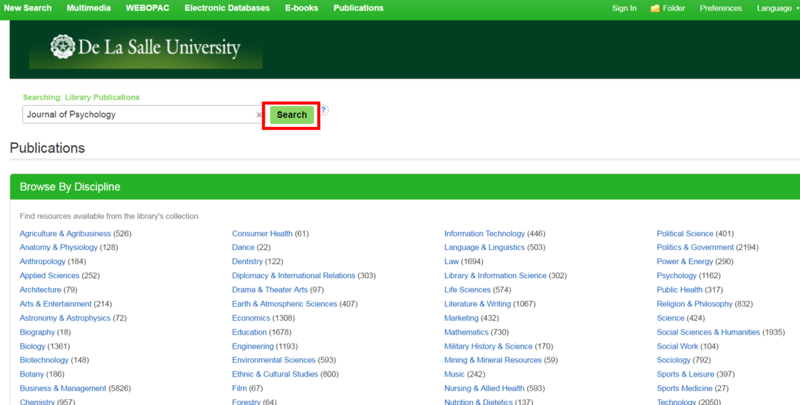 Click the “e-Journal Titles” tab. 3. 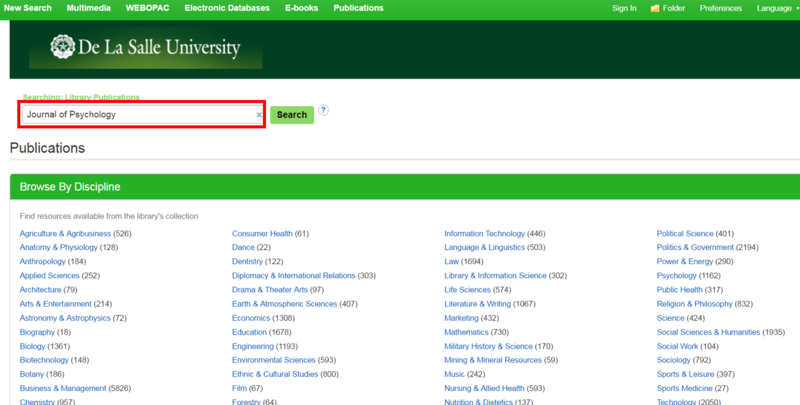 Type the keywords or the exact title of the journal you wish to search in the search box. 4. Click the “Search” button.